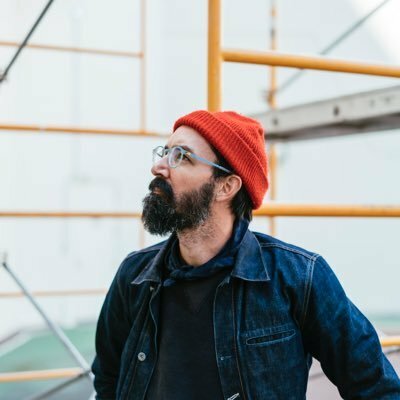 Today’s guest is Kyle Steed, best known for his work with the photo iPhone application program Over where he makes hand-drawn typewriters. Kyle is also known for his illustrations of cereal and pizza. Kyle is a tall man with a hat who enjoys juggling on his unicycle and watching Tom Cruise films. Today’s episodes is not sponsored by Frito’s or John Deere. I’ve known of Kyle’s work and talent for a long time. This was my first time talking to him. I’m so pleased he agreed to do the show. We hit it off immediately, and yet again (as seems a theme) I enjoyed so much just talking with him; my stupid questions were just a way to goof around. I can’t wait to meet Kyle in person and smell his hat. Ok, maybe not smell his hat. Shake his hand? Give him a hearty Texas hello? Go horseback riding? I don’t know, whatever we do, it’ll be fun. *Also (as way of clarification and sensitivity), at the time of this interview the devastating tornado that struck Oklahoma had not occurred, there was in no way any intent to be cruel or insensitive.